Discussion in 'SWNN News Feed' started by SWNN Probe, Nov 1, 2018. 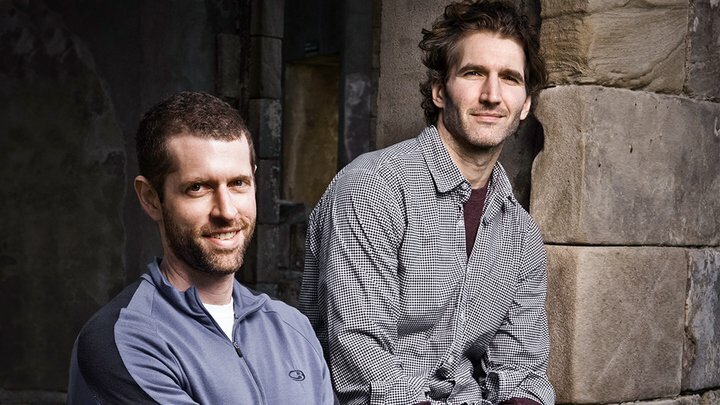 As post-production work on the final episodes of Game of Thrones continues, David Benioff and D. B. Weiss begin to look toward a Galaxy Far, Far Away. While they won't start work on their first Star Wars movie for a while, it appears to be on their minds as the end of their nearly-decade-long commitment with HBO on the gritty fantasy drama comes to a close. No doubt that Lucasfilm's penchant for secrecy came in handy for the writers of the show, as thankfully plot details on the final season haven't leaked out like most of the main details for Season 7 did. But in any case, 2019 should be a great year for fans of both franchises, as Game of Thrones and Star Wars Episode IX will bring their stories to a close, while work on what comes after (The Long Night and the other prequels to the series, and the series from the Benioff/Weiss duo and Rian Johnson for Star Wars) will begin in earnest. The new series of films does not have a director(s) assigned to them as of yet, but the writers are not expected to direct the episodes. If anything, it seems like it would be likely that they could convince one of the directors they've worked with on Game of Thrones to tackle a comparatively more lighthearted science-fantasy story. Glad to hear it, was always wondering when this movie would get started.